Deadline reports that after a competitive round of bidding, Fox has emerged with the rights to remake John Carpenter’s Escape From New York. Seeing how Syfy certainly isn’t making its own Escape From New York series, because that would be crazy, Fox now has ample creative room to reboot the property. 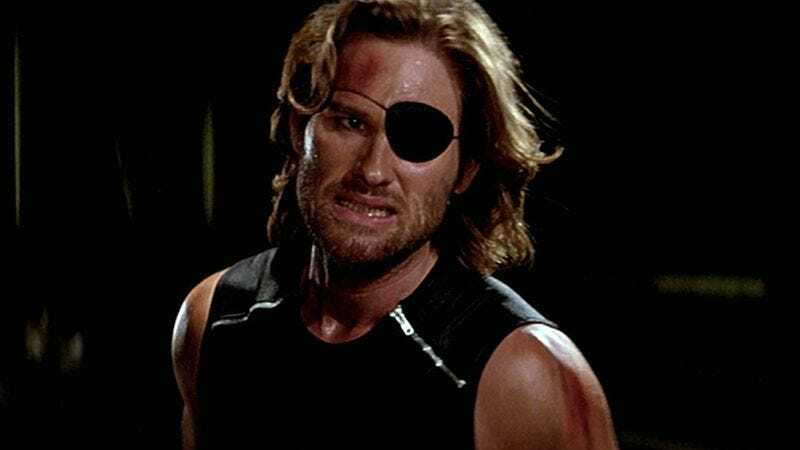 There have been several attempts to revive Escape From New York in recent years, with New Line abandoning long-simmering plans to remake the film in 2011, followed by another go in 2013 from producer Joel Silver—all working under Carpenter’s contractual stipulation that any new Snake Plissken “must wear an eye-patch and always be a badass.” Now it’s Fox’s turn to begin the difficult, yet potentially lucrative task of filling Kurt Russell’s metal-shinguard boots. Fox’s take is also currently without a script, but given the brilliant simplicity of the story—a former World War III veteran and convicted criminal is given 22 hours to rescue the President of the United States, when Air Force One crashes in the maximum security prison island of Manhattan—this thing pretty much writes itself. Fox has indicated interest in building a franchise, because that’s what you do when you spend a ton of money (presumably) to acquire an existing, familiar property. Carpenter himself already made a sequel/surfing documentary, Escape From L.A., but Fox now has the right to force a bomb-strapped Snake to escape just about any major U.S. city. Escapes from Boise, Winston-Salem, Corpus Christi, and Glendale are all possible eventualities, provided the remake proves profitable.